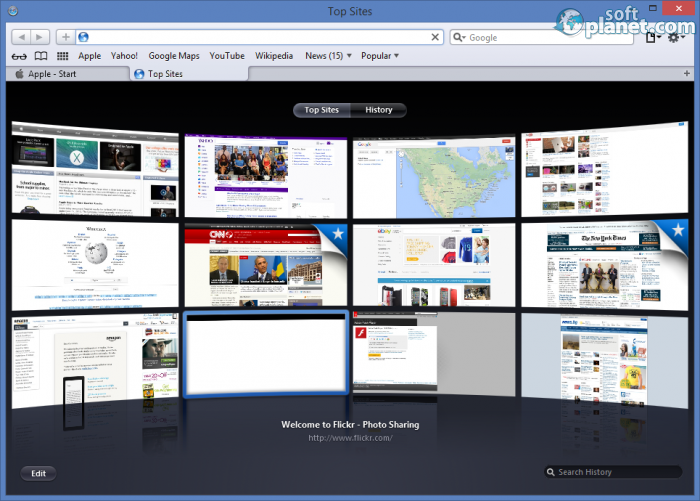 SoftPlanet makes it possible for everyone to get free Safari download directly from our servers. There is no registration needed for downloading. 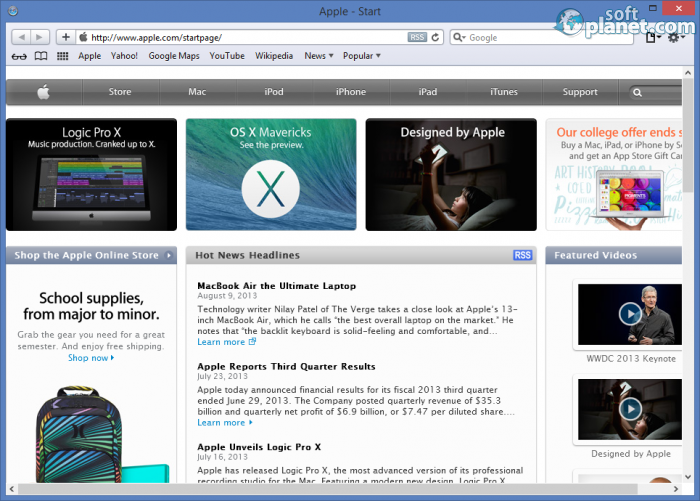 Safari is a web browser for both PCs and Macs, created by Apple Inc. 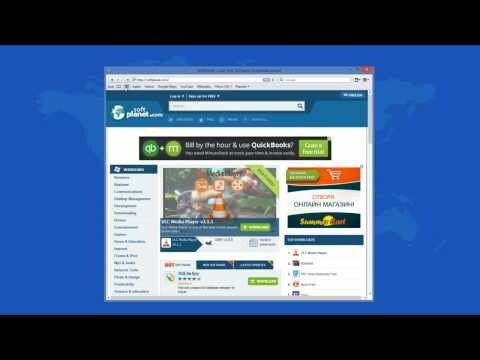 While it may not be the most popular choice being overshadowed in most cases by heavy-weight browsers such as Internet Explorer, Mozilla Firefox and Google Chrome, Safari is something new and something fresh, especially for PC users. While it does not offer a revolutionary interface or technology, Safari is surprisingly fast and like many other browsers it is completely free. It is available for download on the Internet now and despite that it shares many features with its competitors it also comes with nice functionality that is absent in other popular browsers. In fact Safari may turn out to be the best online surprise you've received in a long time. 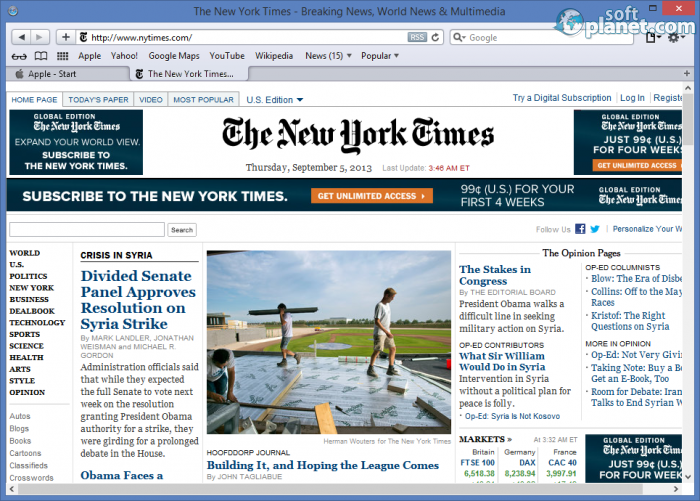 Safari 5.1.7 is a browser that will pleasantly surprise you with its overall functionality. The browser features an easy and straightforward installation although it may seem to be a bit on the slow side, but this is due to the fact that the setup file must copy a large number of files. You can even choose to install Bonjour, a special add-on for Safari that will discover and share with you various devices on your network. Once started Safari will remind you of other web browsers but at the same time the application has unique features that make it stand out from the competition. But the best feature of all is that this browser feels light and is really fast – maybe faster than all alternatives that are currently on the market. The interface of Safari resembles the interfaces of most other web browsers but it can't be any other way as all of them function in a similar way. You have Back and Forward buttons in the upper left corner, a really long address bar, an integrated web search engine that relies on Google, Yahoo and Bing and two settings buttons in the upper right corner. A nice new feature is the automatic inclusion of seven buttons under the address bar that will take you to your favorite web sites (presumably) like Apple's home page, YouTube, Wikipedia, news sites and Google Maps. All new pages also open in tabs just like in Firefox or Internet Explorer and you can create a gallery of your favorite web sites too. There isn't much else to say about the interface of this browser as it appears that major browsers have started sharing features and interfaces but the good thing is that you will not waste time learning the interface of Safari – instead you can start using it right away... given you are familiar with other popular browsers. Safari works just like any other browser. Once you start the program you will be taken to your home page or the gallery of pages that you have created. You can enter a web page address in the address bar, follow your shortcuts or simply use some of the initially created buttons – Safari will do what you tell it to do. In case you want to use multiple web pages open tabs – no need to work with numerous Safari windows, although you can do this too – it depends on your preferences. The best part is that Safari feels very light on the system resources and very fast, in fact it may as well be the fastest browser we've used to date. Safari is not a popular browser for the PC but only after using it for a few minutes you will wonder why. It is not a huge download, it does not need a powerful machine, it offers everything you will ever need while surfing the Internet and most importantly it is both free and very fast. You can try Safari, we guarantee you will not be disappointed for sure! Our security scan shows that Safari is clean from viruses. The current version of Safari has been scanned by our system, which contains 46 different anti-virus algorithms. That ensures that Safari 5.1.7 is 100% safe for your computer.